Screens have a big place in our world. We use phones, computer and tablets for just about everything. My kids ask me a question I don’t know the answer to, I Google it. Need a recipe for dinner? Whip out the tablet. Have a question for Grandma? Shoot her a text. Technology has taken over, and like everything else, it is good in moderation. Everywhere I look, I see check lists and ideas for kids to earn their screen time. As a book worm I wince a little every time I see, “Read for 20 minutes” as a check list on a chore chart. I know not all kids love to read. As a former teacher I know why that item is on that check list, and I know how crucial those 20 minutes are. I just wish that screen time wasn’t always seen as the ultimate reward and reading as the ultimate chore. At our house I try to implement wise use of our screen time, because screens are a necessity in our everyday life, and so much good can come from them. I want my kids to view their time plugged in as fun and useful, not just a way to pass the time and zone out. No screens before lunch or After Dinner- I don’t actually use this phrase or tell my kids this, it is just something I try to avoid as a mom. I mentally implemented this rule because I noticed two things happening. One, once the tv is on it is hard to turn off. Two, my kids get very moody and irritable when they use electronics in the morning. During this time we work together around the house and do chores. These chores have a reward system all their own depending on whether they are the chores they are expected to do or extra jobs that earn them money. After dinner we get ready for bed and spend time together as a family. I encourage you to pay attention to your children’s habits and see what time of the day is best for screen usage at your house. Talk It Out- As we work on teaching our children how to have balance and moderation in their lives, we talk about screen time. So many good things can come from being plugged in. You can learn new things. You can keep in touch with loved ones. You can stay busy on long car or airplane rides. You can create and explore. But, there are negative things too. You can spend hours staring at a screen. You can begin to feel short tempered or irritable. You can have a hard time falling asleep at night. You can be put in vulnerable situations. I hope that by talking to my kids about these things they can begin to self regulate their screen time. They can begin to see patterns in their behavior and know when they have had enough, when it is time to move on to a new activity. Pay Attention: What kinds of games, apps, and shows are your kids watching and using? They are not all created equal. 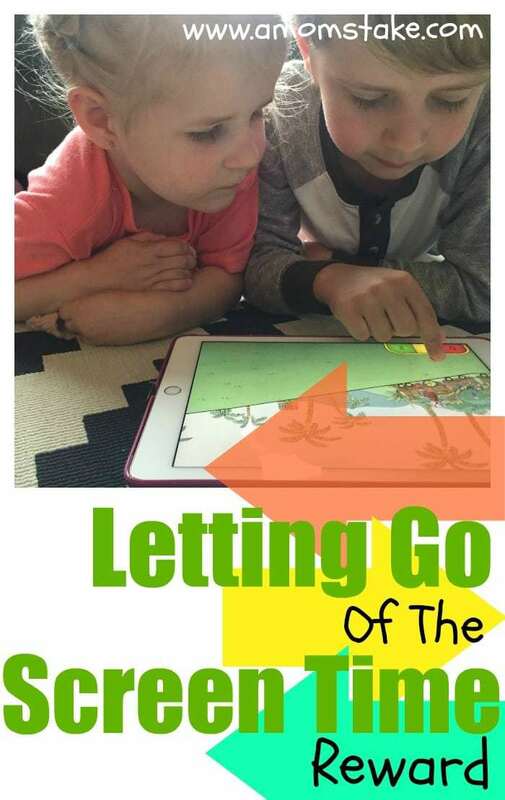 So many games and apps have excellent content that can help your child learn and grow. These are the types of games I try to keep my kids engaged in. Fluffy apps, as I like to call them, are so fun and they have a time and a place, but it is my job as a parent to teach my kids those boundaries. Obviously each home will have their own system that works for them. I just hope we can stop sending the message that screen time in the most important thing in our lives, the ultimate reward or goal. Screens play a crucial role in our lives and in our world and because of that we have the huge responsibility of teaching our children how and when to use them. How do you handle screen time at your house? Is it working? Screens are super addictive for adults so you can not begin to imagine what it has already done to our kids. Regulating it is the first step. The big screen is also another one. The electronic timewaster. Average American watches more than 7 hours of television daily. Wow. I agree with you about being irritable and generally “not the best version of you” when you have stared at a screen for some time. 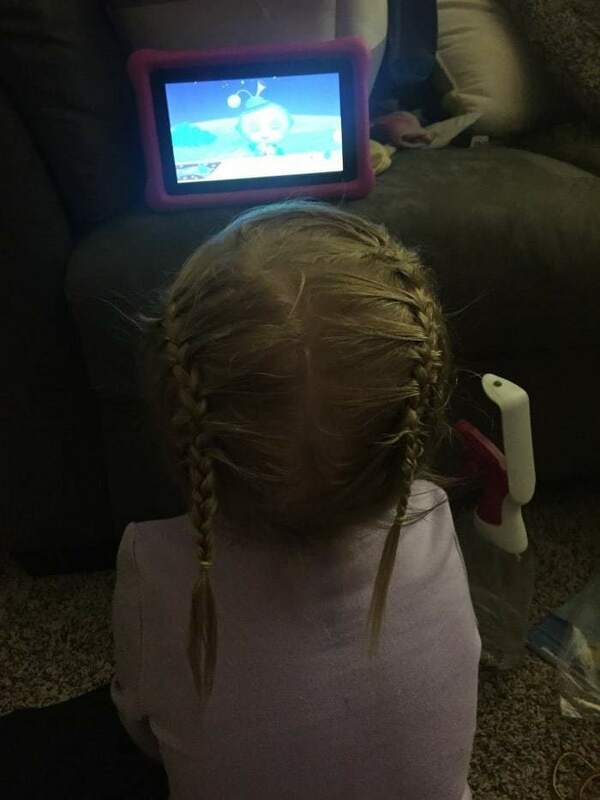 My daughters morph into their undesirable selves after about 30 minutes of “free time” on a computer or mobile screen. We have been lucky that we are still able to regulate and guide their usage even though they are middle school aged now. Thanks for sharing your story, experience and advice. I make sure we mix up creative play with screen time. My kids are not as interested in their tablets now as they first were. My kids had a fixed amount of screen time all through school, even high school. I never increased that as a reward. It wasn’t my thing, but to each his own, right? We try to save the tablet for evenings when we want to wind down. 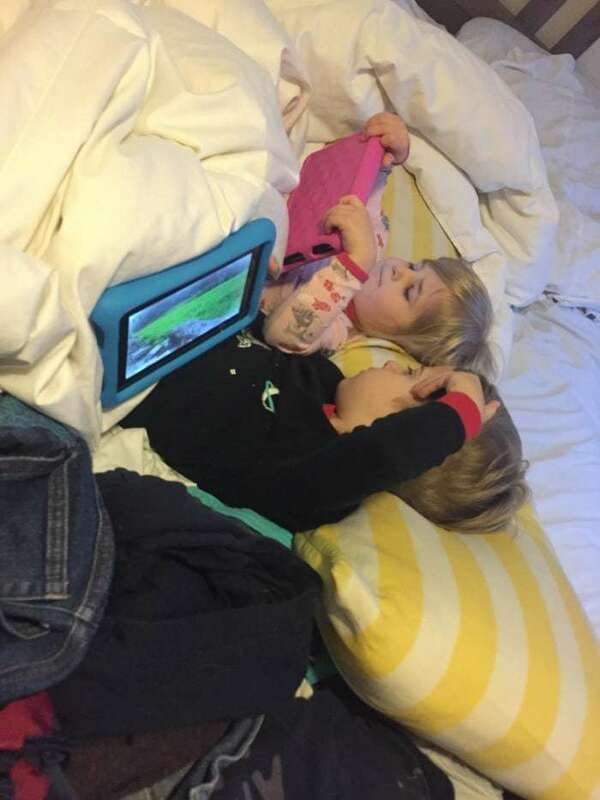 If we are going on a road trip the kids love to have the tablet to keep them busy. How do they wind down with the screen? I need to hear your secret. Screens close to bedtime tend to “wind up” for want of a better term. That is why I have recommending no screens up to 2 hours before bedtime and no television in the kids’ rooms. My kids tend to zone out the world around them once on screen time. But we don’t do any tech time after dinner, it definitely makes a big difference for our family for getting to bed. My kids are 21 and 18 now. We do have a rule for no cell phones at the supper table. It can be frustrating sometimes when I try to talk to them and they are looking at their phone. I make sure there are no devices at the dinner table. That includes Mom and Dad. My Kids love to be outside when the weather is warm. I try to limit screen time during the day. The kids have some educational games they can play on the days it is really hot outside or raining. I love it when the kids can learn while having fun. It can be tough to get kids to balance other activities with screen time, but with some perseverance, it is completely doable. Big rule in our home: Meal times are a no-technology zone. No devices are permitted at the table for anyone. We constantly encourage trips to the park or other outdoor activities. Screen time is not something we should be afraid of. It is increasingly becoming a part of the world and it is one that our children must learn to navigate. I as just fighting with my son about that today! So hard to get kids of screen time!! I am scared that our children are going to grow up to become couch potatoes and good for nothing but staring at a laptop or tablet screen. They need to learn some of the things we did as kids, such as outdoor games and actually reading a book. I am glad to see that you have become proactive in your approach to this issue with your children. I let my girls use their electronics a little bit at home. They’re limited though. After a while I’ll take them away and tell them they need to go play with their toys or go outside and play. Luckily it works for me. Ahhhh… screen time. the internet is a big blessing but each family simply has to set their own rules. We encourage our grandkids to play board games and we’ve also gone on geocaching safaris! My nieces are so used to screen time and that’s why when they come over, I try to do as many different activities with them as possible. They’re pros at using their tablets but we’re always outside when we’re together. Great blog post! Screen time is something I struggle with, especially as my kids are getting older. My oldest (now 15) is big into computer programming. That is fine, but his younger siblings see him doing that and to them he’s getting extra screen time that they don’t get and so they feel it is unfair. 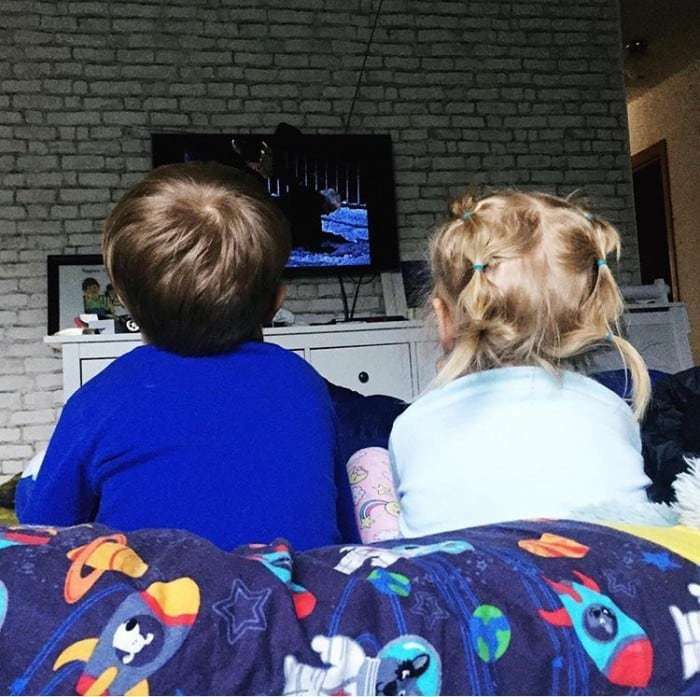 I still try to limit screen time overall, but the fact is that screens are a huge part of this day and age, so you just have to work to find the right balance for each of your kids and feel at peace with your decision. I agree that screen time shouldn’t be used as a reward. Too much screen time is an issue in my house. I’m hoping to change that. These are all really good ideas. I hate when electronics get in the way of meal time! My kids are 10, 9, and 8 and they love their tablets and XBox. The also know that when it’s time for it to go off, it’s off. My son begged me to take him to the library today to get some books (he really wanted to go yesterday but they were closed). He took out 4 books and I’m pretty sure he’s almost finished with one of them.